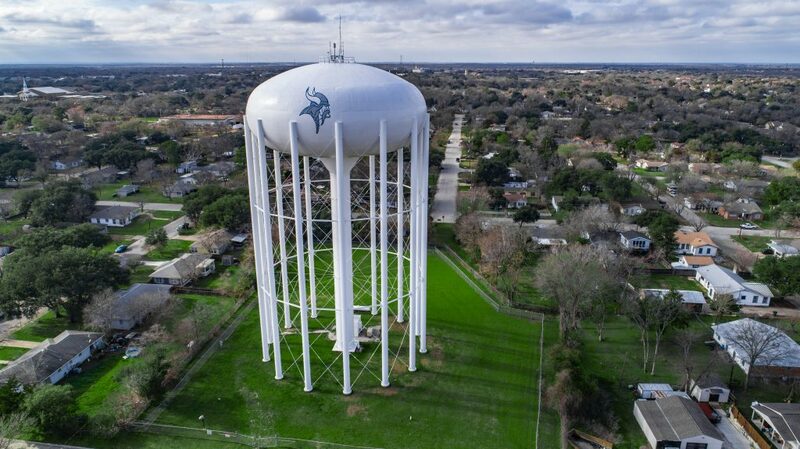 The City of Bryan and Dunham Engineering are proud to announce the Luza Street elevated water storage tank rehabilitation project earned the Charles G. Munger Award, a recognition given by the Society of Protective Coatings (SSPC) for state-of-the-art maintenance efforts. This rehabilitation project began after Bryan City Council approved a professional services contract with Dunham Engineering, Inc. in July 2016 to develop the specifications and provide professional services to manage the project. The water storage tank holds two million gallons of water and was built 40 years ago with only one rehabilitation project completed previously. The method of over coating the existing acrylic system offered an innovative approach that benefitted the community, both from a cost and nuisance perspective. The over coat process reduces the amount of surface preparations needed. This means residents within the immediate area around the storage tank were impacted less as there was no need for costly sandblasting or repainting and the need for abatement equipment to contain materials removed was reduced. 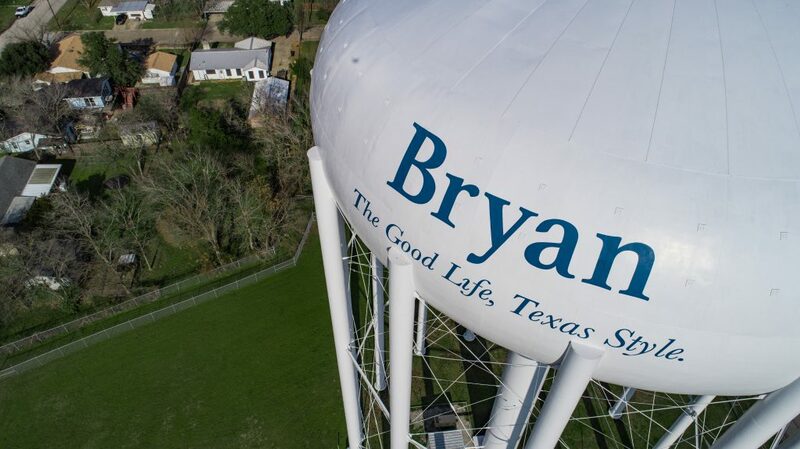 “Over coating the Luza Street water storage tank offered an opportunity to support the City’s commitment in providing cost effective, long lasting solutions to ensure we stay ahead of the curve in serving our citizens,” shared City of Bryan Public Works Director Jayson Barfknecht. This type of rehabilitation was made possible thanks to long-term planning. “Dunham Engineering’s prior work on the water tower in 2000 contributed to the ability to over coat the structure during the recent rehabilitation, saving the City significant cost by not having to erect a containment structure and remove the prior coating system,” shares Travis Tatum, CEO & President of Dunham Engineering. The scope of the project included over coating the exterior of the elevated water tank; repairing the interior coating system below the high-water line; and performing structural repairs on the tank appurtenances such as ladders, vents, hatches, and handrails. Now that the project is complete, the City expects this maintenance will extend the life of the Luza Street water storage tank by another 25 years. This award will be formally announced at the SSPC’s 2019 Annual Conference on February 11th.